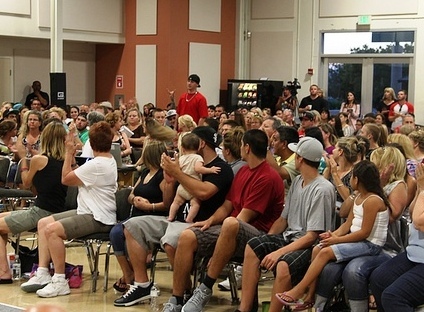 A standing-room-only audience of parents, teens and community leaders packed and overflowed the Santa Clarita Activities Center Wednesday night to get an update on the city of Santa Clarita’s “Heroin Kills: The High Is A Lie” public awareness program a year after it was launched. 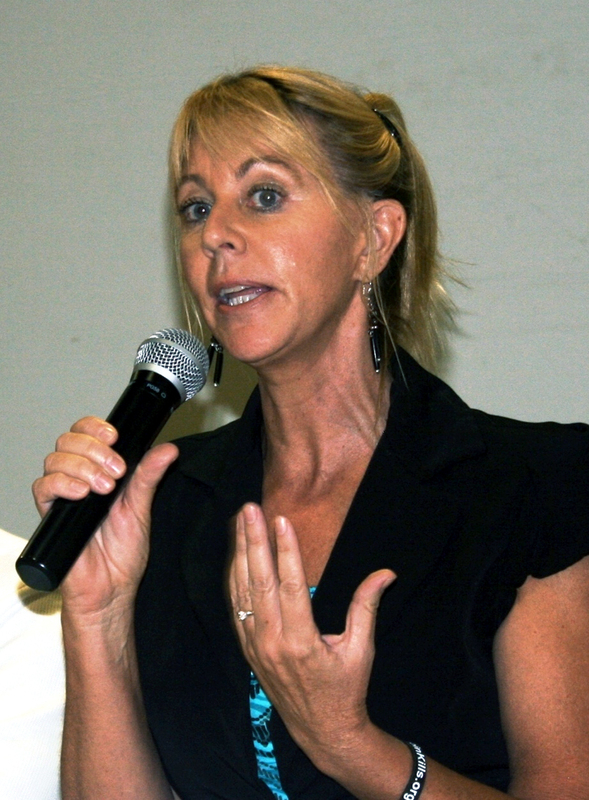 The program was initiated in Santa Clarita in August 2011 in response to a spike in heroin-related deaths here in 2011, when there were five, according to statistics from the Santa Clarita Valley Sheriff’s Station. So far in 2012, there have been six heroin-related deaths. A panel of local experts confirmed Wednesday that abuse of heroin, opiate-based prescription drugs and synthetic drugs like Spice (synthetic marijuana) continues to rise in the Santa Clarita Valley, with the number of heroin and opiate-related deaths at 13 so far this year, also outpacing years past. The audience paid rapt attention to the symposium’s opening remarks by Santa Clarita Mayor Frank Ferry, then the updates on drug abuse in the SCV from the panelists who shared their first-hand knowledge of the situation from their perspectives. On the panel, moderated by outgoing Santa Clarita City Manager Ken Pulskamp, were Capt. 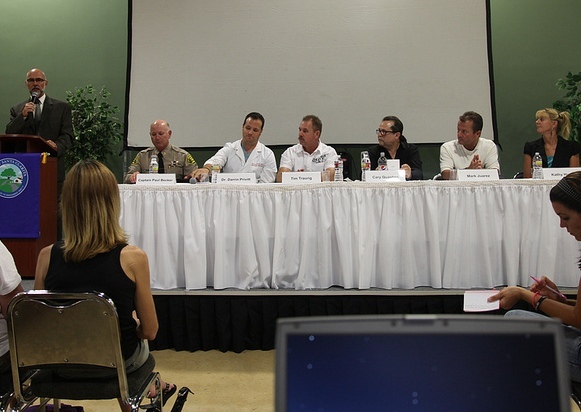 Paul Becker of the SCV Sheriff’s Station; Dr. Darrin Privett, a local ER physician; Tim Traurig, a Los Angeles City Fire Department captain and founder of the A Light of Hope Support Center; Cary Quashen, head of the Action Family Counseling drug and alcohol rehab centers (for-profit) and the Action Parent & Teen Support Group (nonprofit), and executive director of the Behavioral Health Unit at Henry Mayo Newhall Memorial Hospital; Mark Juarez, an elder at Heart of the Canyon Church and co-chair of the local Faith-Based Substance Abuse Coalition; and Kathy Hunter, coordinator of student services for the Hart District. The evening’s most dramatic moment occurred when a man in his 20s stood up in the middle of the audience while Quashen was talking, said he was addicted to heroin, and asked if anyone could help him right now. Quashen immediately responded in the affirmative, shook the young man’s hand, and Bob Sharits, an ACTION coordinator, accompanied the addict out of the main room to get him started on the process of detox and rehab. The overarching themes from the panelists were that illegal and harmful drugs are not going to go away; that drugs available now are far more potent and addictive than in the past; that there are many resources, both free and for fee, available to people who want to get off drugs; and that the key to reducing drug abuse is reducing the demand. That involves prevention, education, intervention and enforcement, in that order, and most importantly, changing the mindset and the culture about drugs, starting with teens, but extending throughout the community. Toward that end, a new program called “Drug Free Youth In Town,” or DFYIT (pronounced “defy it”), is being introduced in William S. Hart Union School District junior and senior high schools throughout the Santa Clarita Valley this semester. A concerted effort involving the city, the county, local schools and local law enforcement, the “Drug Free Youth In Town” initiative is patterned after similar programs in Texas and Florida that successfully reduced the demand for drugs among young people, which in turn reduced abuse. The free, school-based, voluntary program focusing on education and prevention is built around an anti-drug “club” that will be officially launched in a ceremony at Valencia High School on Friday from 12:15 to 1 p.m. Students who sign up for the program also sign a commitment to stay drug-free as the progress from junior to senior high school. In Texas and Dade County (Miami), Fla., said Hunter, “They have thousands of kids who participate in the clubs, and most of them can choose to join in sixth or seventh grade and stay with it all the way through their senior year. What they do is, they make a pact with all of their friends, and more friends that they keep bringing in, to actually go out and do social events and not feel the need to get high to have fun. Whether the Santa Clarita Valley achieves the same positive results with its version of DFYIT as Texans and Floridians achieved remains to be seen. Meanwhile, the Hart District continues its relationship with the nonprofit Action Parent & Teen Support Group, which holds free meetings and provides free education and support to parents and students at Bowman, Hart and Canyon High Schools. The District also refers students who need help to A Light of Hope, the SCV Child & Family Center and other local nonprofit organizations. The District is continuing its Comprehensive Alcohol and Drug Reduction and Education drug-testing program, aka CADRE, for parents, this school year as well. Hunter said so far this year, parents of more than 500 seventh-grade students have signed up for CADRE. “It’s a wonderful program,” she said. “Our goal would be to have an entire grade, like all of the seventh grade, sign up for CADRE and stay in it all the way through 12th grade. That’s a culture change. But we need to get everybody to agree together that it’s not saying, ‘Oh, my kid’s going to use drugs, so I’m going to sign him up.’ You’re doing it as a prevention and to encourage them, and their parents and other people’s parents, to sign their kids up. As the symposium ended, Sharits was outside on the steps of the Activities Center, on the phone. Between calls we asked what happened with the young addict who came forward seeking help. There were actually two young people who did so, Sharits said between calls. Sharits said no one on the panel or anyone else knew these people were going to come forward. For more information, visit HeroinKills.org.